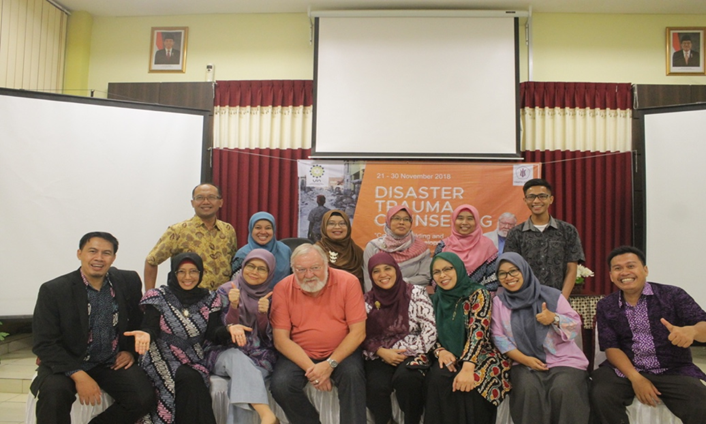 Fulbright Specialist Dr. Louis Downs, Professor Emeritus at California State University Sacramento, and Universitas Islam Negeri Sunan Gunung Djati (UINSGD) in Bandung and Universitas Tasikmalaya had productively collaborated in a capacity building project on post disaster trauma and mental health. Through the collaboration, which took place from November 15 until December 10, 2018, Dr. Downs and his two hosts were able to do a lot of academic and consultation activities. At UIN Sunan Gunung Djati, Dr. Downs consulted with the faculty and administration of the Psychology Department regarding needed curriculum enhancements and appropriate skills acquisition of faculty members on the first day and was asked to be a guest speaker to the substance abuse class for the remainder of the day, ad hoc. He also presented a three-day workshop on disaster mental health relief counseling to faculty, students and regional professional psychologists. In addition to it, they run a two-day workshop for a smaller representation of psychologists, the members of the student crisis counseling team, and faculty members of the department on the topic of long term trauma counseling theory and appropriate protocols and skills. Another two-day workshop was also presented to faculty and students on mental health issues related to traumatic reactions to disasters and personal crises and longer-term trauma counseling. Finally, a one-day workshop on clinical supervision was presented to faculty and regional professional psychologists. 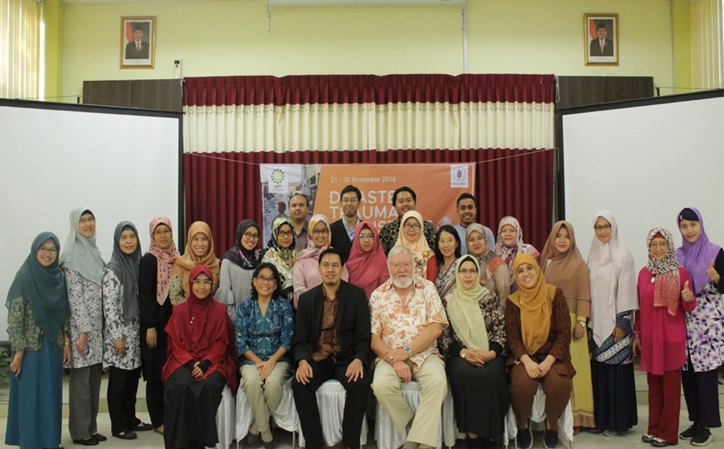 Dr. Downs was also invited by the Islamic University of Bandung and was able to provide two presentations. The first presentation was about the psychological impact of traumatic events. The second one was on the nature of addiction and recommendation for effective treatment to psychology faculty. 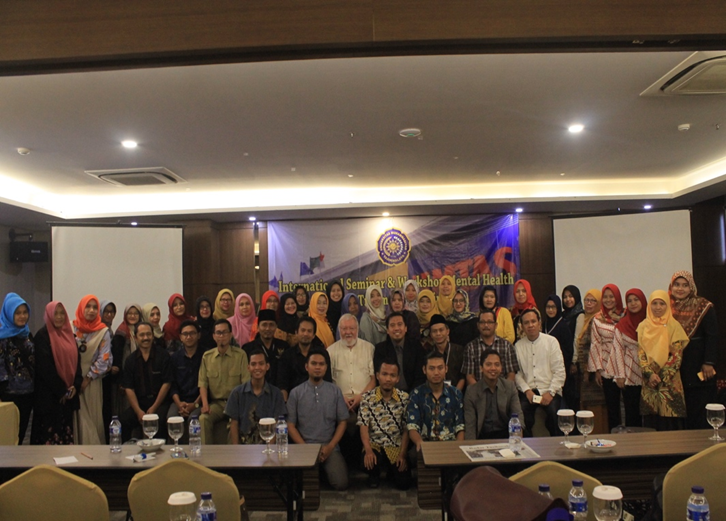 At his second host institutions, Universitas Muhammadiyah TasIkmalaya (UMTAS), Dr. Downs were able to provide a two-day presentation to part of the student body and to the faculty of the Counseling Department as well as to volunteer counselors from the Islamic community who had recently returned from the tsunami in Sulawesi, regarding the effects of and appropriate interventions after disaster. They also successfully ran two workshops for students and faculty of the Counseling Department, regarding mental health issues of survivors of trauma and appropriate long-term interventions for survivors of traumatic events. Dr. Downs and the faculty of the Department of Counseling were also able to hold a consultation session. 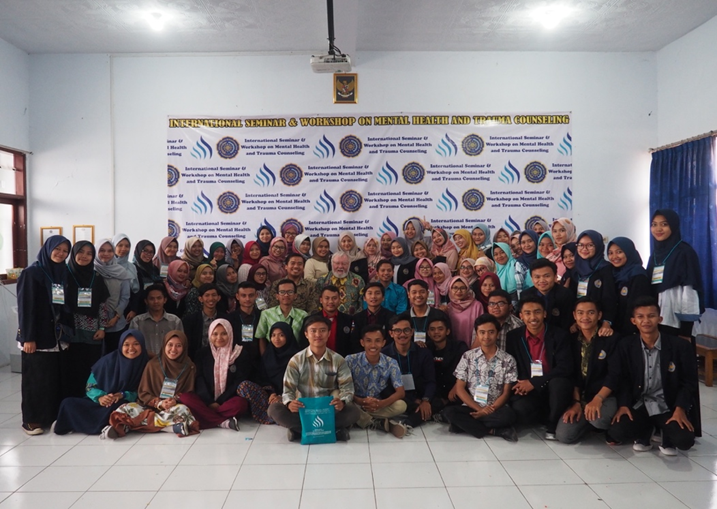 In the session, they were able to discuss about curriculum and content to develop a mental health track to their counseling degree and toward the development of community partnerships and both a school and community trauma and crisis team to respond to disasters in the region. This includes appropriate counseling and counseling partnerships with Child Protective Services, experimental school sites, and village headmen in disaster prone villages of the region.